Here's my first project using the new SU! Beveled Windowpanes! 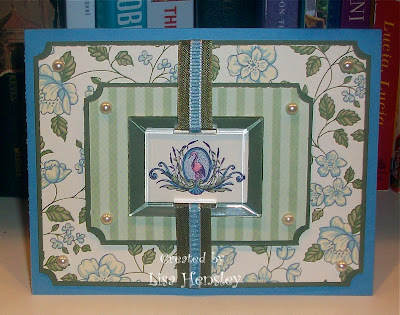 I layered Marina Mist, Always Artichoke and patterns from the Springtime Vintage dsp. The flamingo image was stamped onto Vanilla, watercolored, then matted with Always Artichoke. I cut slots for the Always Artichoke seam binding with a crafters' blade, then fed the seam binding through the slots in the large beveled windowpane and behind the image. I used a couple of mini-glue dots under where the seam binding covers to secure the cs to the beveled windowpane. Pretty. How do you like those panes? Let's bring the SU! love back to Splitcoast!! 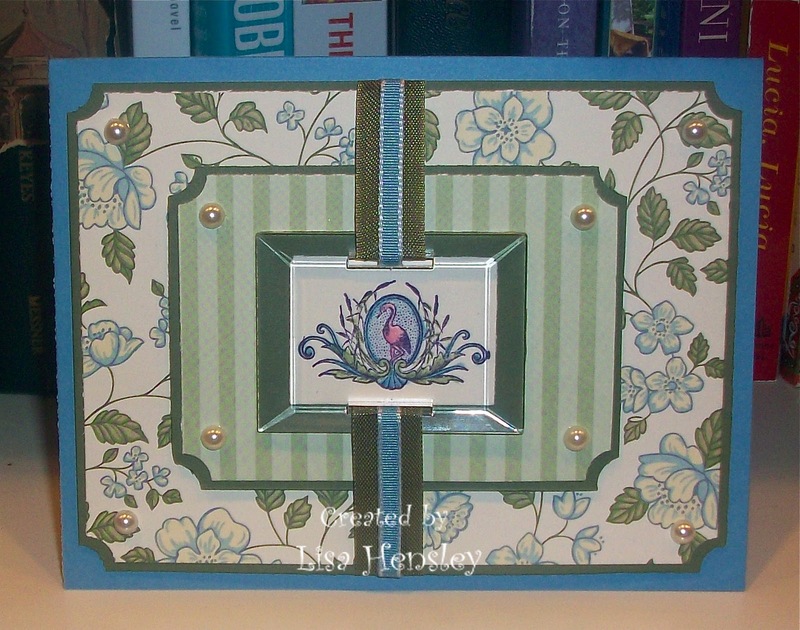 New Springtime Vintage suite from Stampin' Up! Sew Suite from the new SU! Occasions Mini!